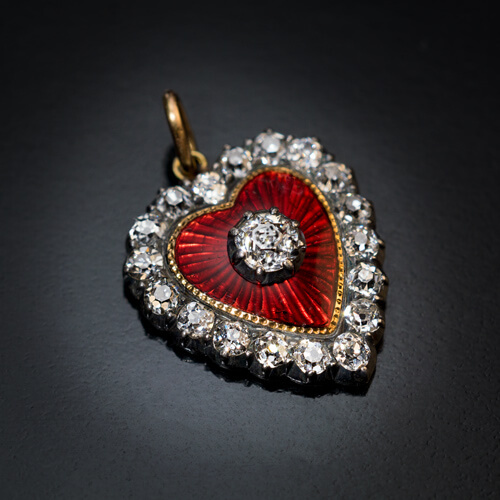 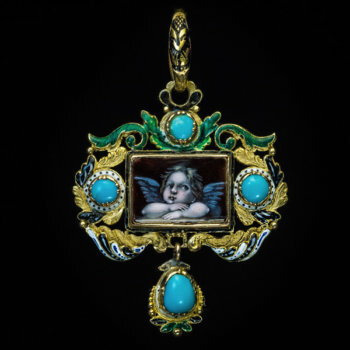 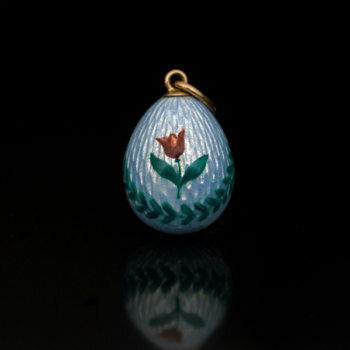 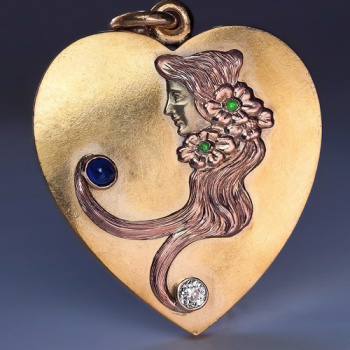 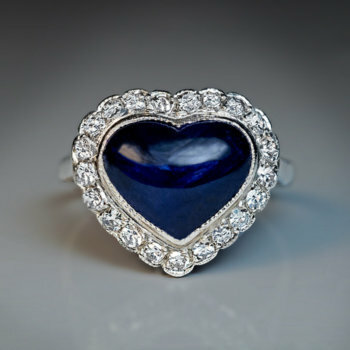 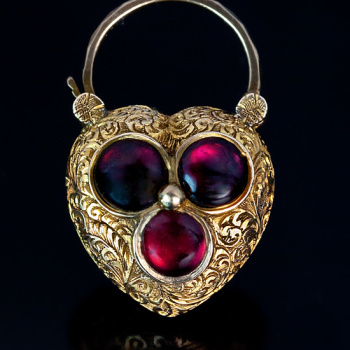 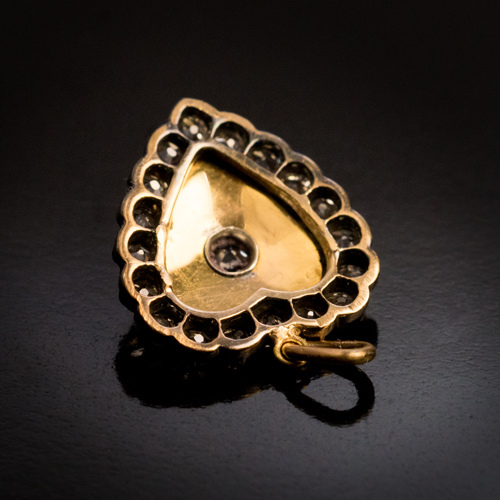 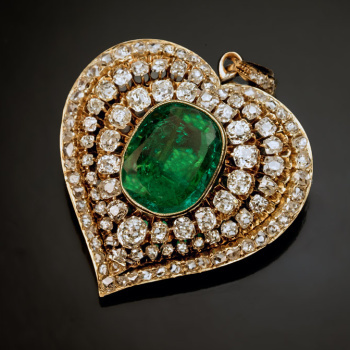 This Belle Époque, c.1890s, antique heart-shaped pendant is finely crafted in 18K gold and silver. 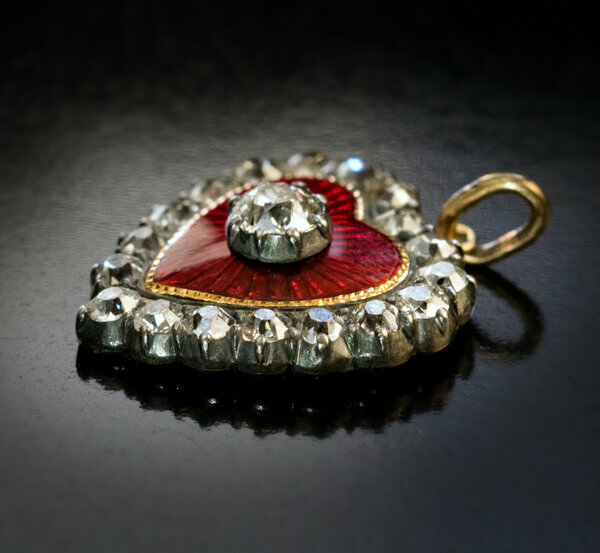 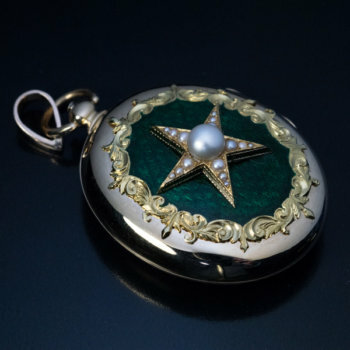 The pendant features an excellent vivid red guilloche enamel and bright white chunky old mine cut diamonds. 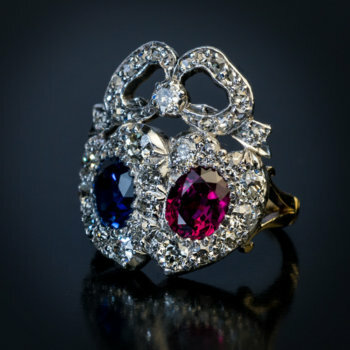 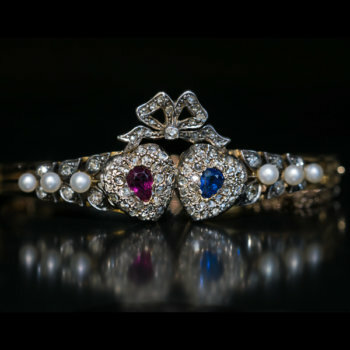 Estimated total diamond weight is 0.64 ct.